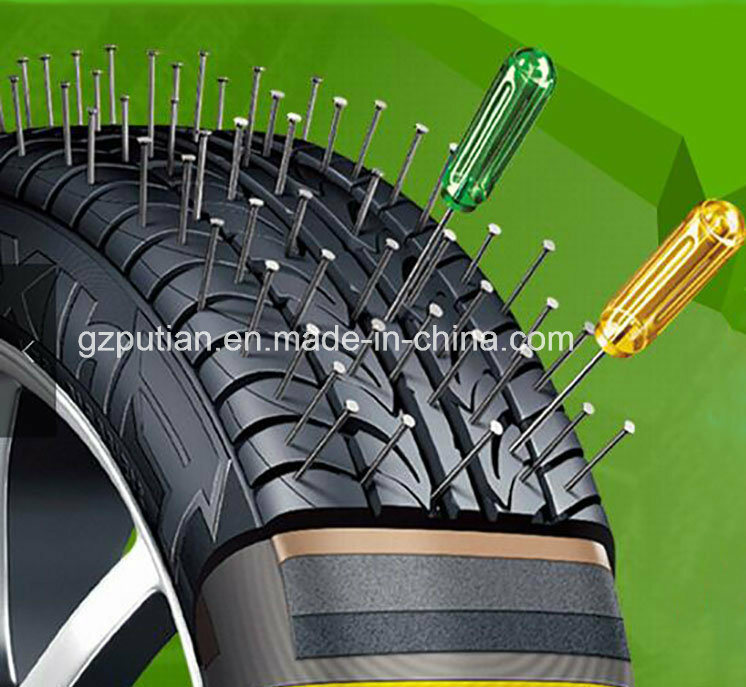 punctures up to 6.8MM diameter,for more than 60 time. All weather suitable ,from -10c to 90c working enviroment. A.Take off the tire valve,and deflate all the air in the tire. 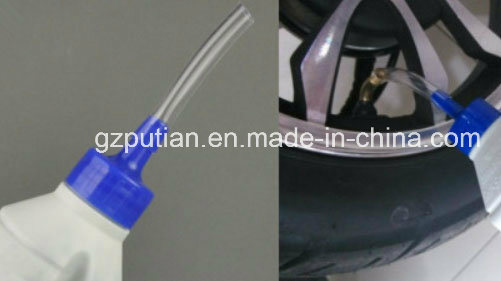 B.Shakes the bottle well before apply,cut off the top portion of cap,squeeze the bottle to inject sealer into tire. C.when done,clean the tire inlet,put back the tire valve,inflate tire to the recommended pressure. 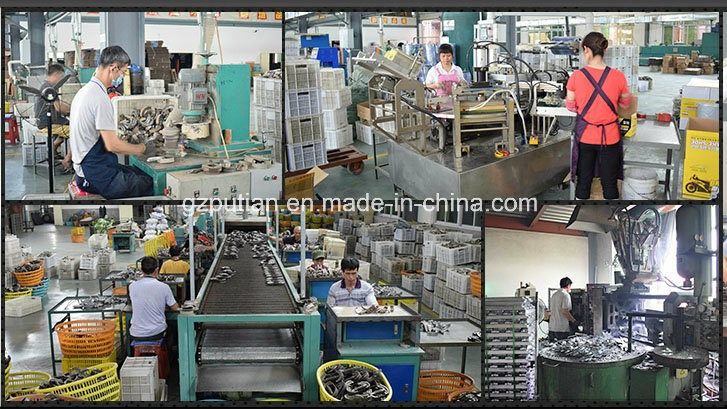 Do Not mix with other brands or it might cause problemÂ .if leaks found in inflation process ,please rotate the tire and let the leaks facing down.if the leaks diameter was too big ,please use the ordinary way to fix it .For best and efficiency result,please do not use this sealer to apply aging orÂ poor quality tire.